If you’ve been living with LS3/5as, ProAc Tablettes, or a pair of similar sized Harbeths and love the form factor, yet long for more resolution, look slightly to the North and the East. 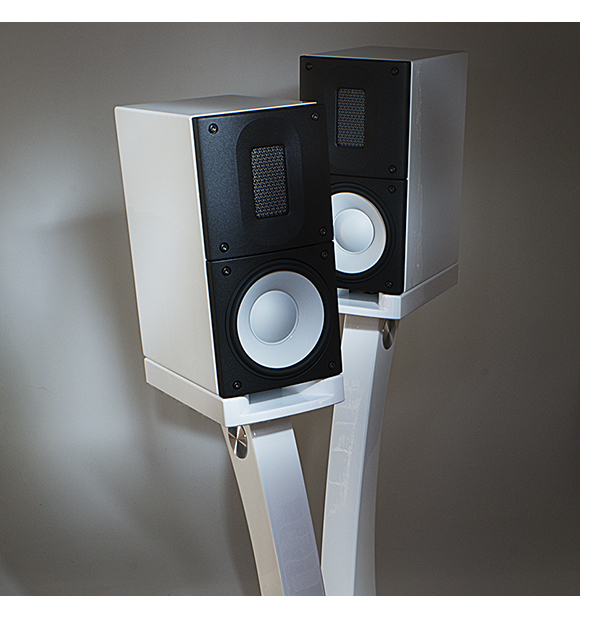 Yes, I’m talking about Denmark – the land of beautiful speakers. The X-1 shares the same sonic purity and transparency that is the hallmark of all Raidho speakers, just in a smaller package. Like your favorite Brit minis, there’s no low bass to speak of, and thanks to the front port, you can place them fairly close to the wall without it effecting the delicate midrange balance. Make no mistake, to get the best out of the X-1, they need to be nearfield speakers, or coupled to a fantastic sub, if you want to fully enjoy them in a larger room. Or just get a bigger pair of Raidhos! We’ve just started listening in earnest, but the X-1 makes a hell of a first impression. Stay tuned.